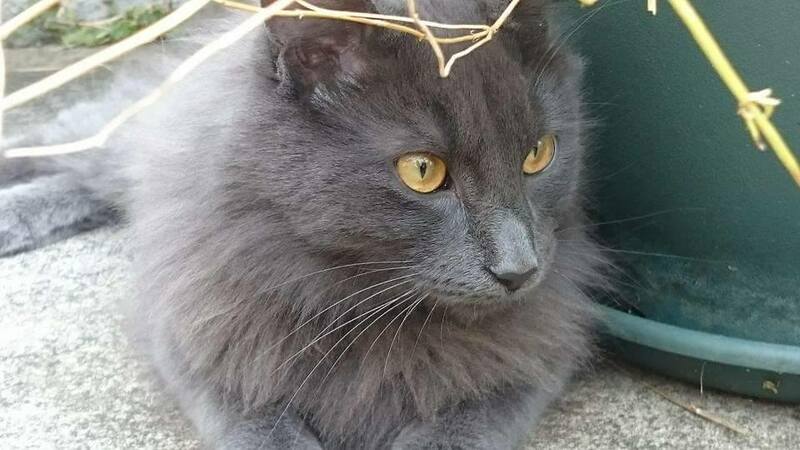 Hello lovelies, this weeks pet of the week is owned by blogging babe Alice and her sister Em who is also a blogger, she is sharing her floofy Rusian blue mix cat Chester! 1. What is the name of your pet? Chester. 2.What is Chester's favourite thing to do? One of his favourite things to do is tunnel under my duvet and attack my feet. 3. What is Chester's favourite treat? He does love a dreamy or two. But Fridays are his favourite because he gets fancy wet food as a TGIF treat. 4. What do you love doing with Chester most? My favourite thing is when it's time for a brush, he lovesss his tangle teaser and makes funny noises. 5. What made you give the name Chester? We were unsure on what to call him at first, but then came across the name Chester and it just fit him perfectly. 6. What's the thing you love most about Chester? I think I love his crazy moments the most. Running from room to room jumping on everything. Then needing a cuddle because he's worn out. 7. Has Chester got a funny story or even a bad one? I think the funniest thing is Chesters bromance with next doors cat. I watched him egg on Milo to jump out of a window and climb down a wall just to play for a while. 8. Can Chester do any tricks? He's learning tricks, but he only does them when he knows it's going to benefit him. 9. If you could give Chester anything what would it be? A monkey. I'd get him a monkey because he has a teddy that he sleeps with/ plays with and carries around with him. 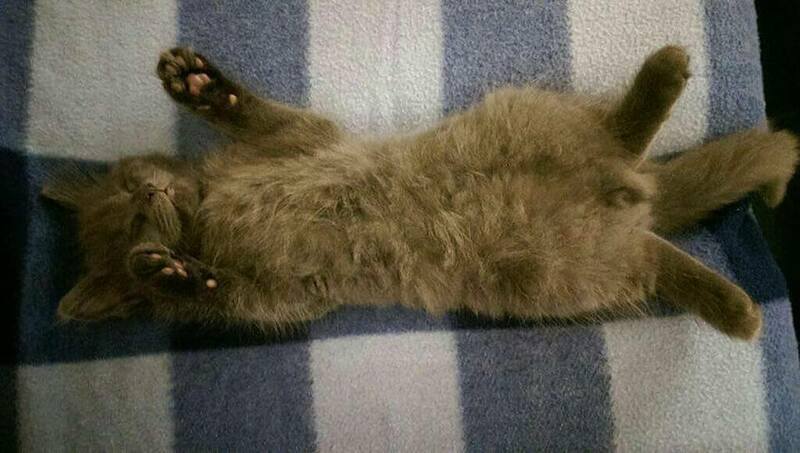 Chester is so adorable, he reminds me so much of my mums late cat, so cute and cuddly and I had to share another photo of him here when he was a lot younger sleeping, how sweet! Thanks so much girls for sharing him. You can find his owners on Twitter Alice & Em.